Available with Help to Buy is this new three bedroom three storey townhouse constructed by Messrs 'Cawrey Homes' on a beautiful development of just 14 individually designed properties. Five of the plots are already occupied and the remaining plots represent a superb opportunity to purchase a quality village home. Open day on Saturday, 27th April. Call Alexanders to book your place on (01530) 413126. Plot 9 - No. 19 Brook Cottages is a superb three bedroom three storey townhouse with landscaped private rear gardens, a single garage and one off road parking space. 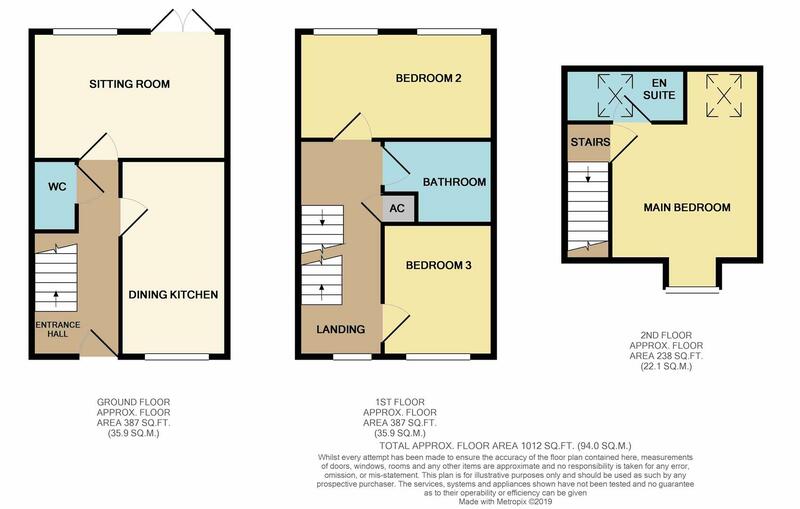 The beautifully appointed internal layout comprises in brief; Entrance hall, dining kitchen, sitting room with French doors onto rear gardens and a downstairs WC. To the first floor are two double bedrooms and a family bathroom, and the impressive master bedroom suite is found on the second floor with an en suite. The rear gardens are laid to lawn with a paved patio area directly to the rear of the property and a lovely village aspect over the brook.